ALL THE DISPLAYS LISTED BELOW ARE TAKING PLACE ON SATURDAY 5TH NOVEMBER. REMEMBER TO WRAP UP WARM AND STAY SAFE! Ottery St Mary – Devon. Flaming Tar Barrels night where locals set alight to barrels soaked in tar and carry them through the town – only people who were born in the town or who have lived there most of their lives (True Ottregrians) are allowed to carry a barrel! Bath – Bath Abbey. The Bath Rotary Club Fireworks display will be back again in 2016 starting from 7 pm with the magnificent Bath Abbey as a backdrop. 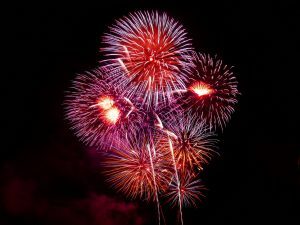 Bude, Cornwall – Bude Rugby club Best Guy Fawkes Competition, Bonfire and Fireworks – not to be missed! 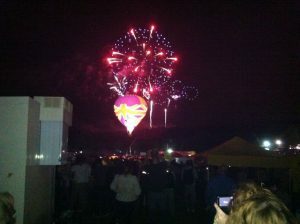 Although not on bonfire night, our favourite Fireworks display of the year has to be the Bristol Balloon Fiesta night glows! This year we had two fantastic displays on the Thursday and Sunday evenings, we can’t wait for next year!